There’s a curious commotion at the bottom of the ocean. Hmm: shall we go and take a look? 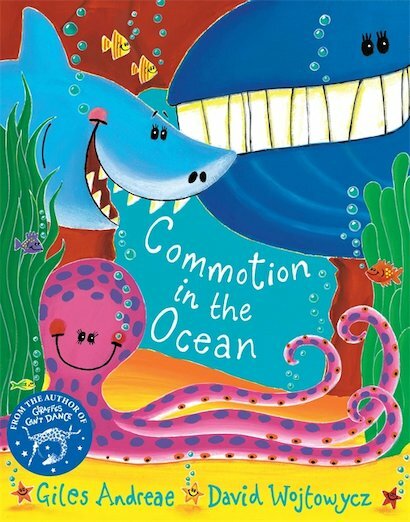 Whales, sharks, jellyfish, starfish and lobsters are waiting to meet you in this best-loved rhyming book! By the all-star team who brought you Rumble in the Jungle, this is a truly joyful and uplifting treat. A treasure-trove of bright, bold pictures, riotous rhymes and cheeky ocean critters. What are you waiting for? Dive deep!